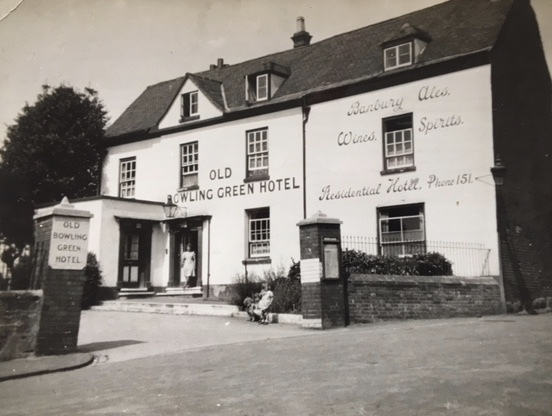 The Old Bowling Green Hotel, Warwick. A family photograph taken in the late 1940s. 1 2 Site of Bowling Green commercial inn and family hotel, Bowling Green street, Warwick. Historic inn recorded on F. White & Co.’s database, and the Board of Health map. The latter shows it to have been in existence in 1851. Situated on the west side of Bowling Green street, facing on to a bowling green. Listed building record (DWA5212) shows a date of late C17/early C18 for the inn. DWA8216 records the possible medieval town boundary at the junction of Bowling Green street and Market street. Was this hotel next to the old forge? On Bowling Green Street? Findspot - a Mesolithic flint flake was found 300m South of Warwickshire Technology Park. Post medieval items found in Warwick. Post medieval items found in Warwick. The exact location is unknown. A cylindrical Victorian cast iron post box dating to the Imperial period. It is situated on the corner of Coton End and Broad Street, Warwick. Site of a Drovers inn, situated in Clinton Lane. The building still exists as part of a cottage when the inn and cottage next door were knocked into one building in the 19thC. Site of historic inn situated on west side of West Rock. Site of historic inn and hotel situated on the east side of the High street. Noel Grange, an inn where travellers could lodge, which dates from the Post Medieval period. It is situated to the north east of Wishaw Hall Farm. Site of historic inn situated on the south side of Mill street. Site of historic inn situated on the east side of Bull street. Now The West End public house. Historic public house situated on the east side of Church Street. The site of the White Lion Public House, a building of Post Medieval or Imperial date. The site, which was excavated, was situated on Coventry Road, Bedworth. It is marked on the Ordnance Survey map of 1902.